This sample highlights the customized capabilities of Rubix Art Marketing. 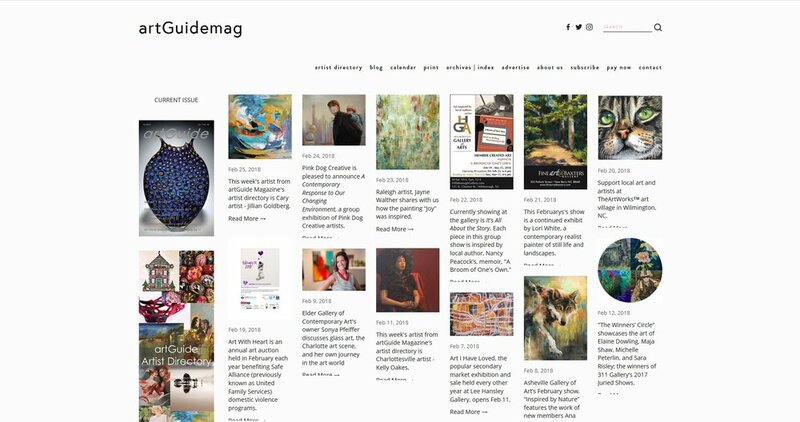 artguidemag.com is a regional gallery guide magazine with a website that includes almost daily blogs, archives, gallery pages, and more. Keyword optimization is designed for Google for "gallery guide magazine" & "artguide". Type those keywords into Google and artguidemag.com shows up on the first page of Google - driving national traffic to this website. Blog writing and posting several times a week. Directory for gallery and artist galleries.